For the elect preparing for baptism, Lent coincides with their period of Purification and Enlightenment. You can read about the basic considerations here, and don’t forget the Church sees this time of “intense spiritual preparation” as a vital season in the development of disciples-to-be. I remember the rich suggestions of Scripture for prayer in Jesuit Fr John Veltri’s Orientations. You can check the link here for a week-by-week opportunity to go deeper in the Testaments, Old and New. His suggested stages “Through The Way of Purification” were useful to me in the past, and as I reviewed them earlier today, might again fuel my prayer life this Lent. Phase 1: How we need God’s grace to grow in interior freedom to fulfil the human responsibility to which our same Creator calls us. Phase 2: An awareness of how God leads us to freedom from sin and its effects with mercy and compassion. Phase 3: An awareness of my sinful condition and amazement at God’s continuing love. Phase 4: A growing awareness of my own personal sinfulness with a deep sense of sorrow and gratitude. Phase 5: A growing awareness of the hidden disordered tendencies of my life with continuing sorrow – all the while seeking the freeing action of Jesus. Phase 6: Grateful awareness that up to this very moment God has shown me so much love and mercy. These don’t exactly correspond to the weeks of Lent in the liturgy. However, there are many Scripture passages suggested for prayer that will be familiar to liturgical geeks. And there are a few that were surprises to me–not part of the Lenten Lectionary, but rich and worthy of consideration. 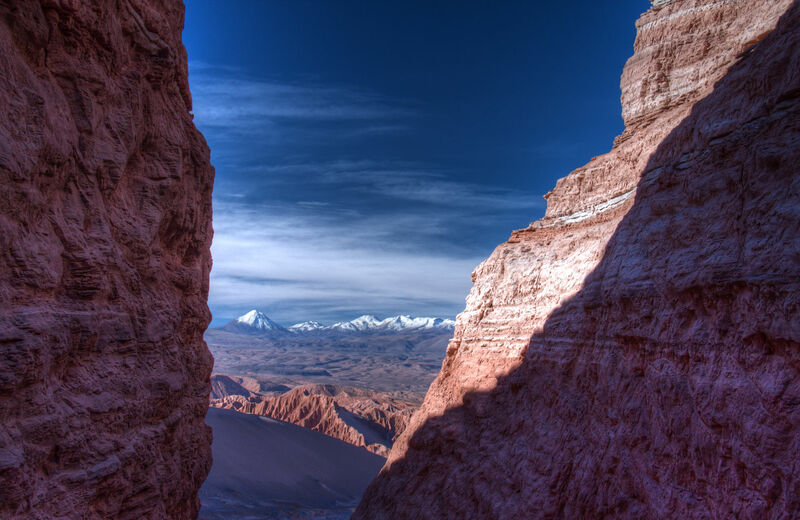 Image credit of the Atacama Desert in Chile. This entry was posted in Lent, RCIA, spirituality. Bookmark the permalink.